The FOTA meeting on board Flavio's yacht in the harbor at Monaco has ended and now the teams will present a united front in their meeting with Mosley later today. 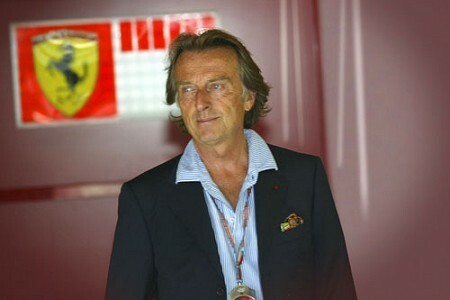 So says Luca di Montezemolo and he makes it clear that they expect to be heard: "It is important that our view of the future is absolutely shared." Whatever the teams agreed upon, the important thing is that they remain united within FOTA and, so far, all has gone well. Some of the teams have made no secret of the fact that they will be signing on for next year within the FIA's time limit but this has not affected their support for FOTA's stance. It is only from such a position that Mosley can be induced to compromise on his intended regulations for next year; the slightest sign of a split between the teams and he and Bernie Ecclestone will do their utmost to widen the gap. I have always felt that agreement would be reached eventually and that the manufacturers would stay in F1 as a result. With today's news, this still seems the most likely outcome. The meeting between FOTA and FIA President, Max Mosley, did not reach agreement and so the round of meetings will continue tomorrow and beyond. Luca di Montezemolo continues to champion the survival of F1 in recognizable form, while Mosley holds out for, umm, his version of how things should be. Life goes on and tomorrow we have qualifying for the Monaco GP. No prizes for guessing which is sublime and which ridiculous. As I've said somewhere before, this is the kind of power Ferrari has and somehow Mosley has failed to anticipate. Excellent, it's a very good thing that the teams present a unified front against that halfwit. I am actually becoming quite impressed with Luca Di Monty. I would never have thought that he would be so tenacious, and all for the greater good. Careful Pinky, it's dangerous out there!......you might need several VB's. Haplo: I find it somewhat ironic that it is Ferrari mounting the most serious challenge to Max's power. If anyone can beat him, Luca can! Peril: I've always had a lot of respect for Monty the Molo as a politician and a hard-nosed businessman. At the time he became the leader of FOTA, I wondered at the wisdom of the teams appointing him - but now recognise that he is the best man for the job. I'm going to take a wild guess at the meaning of a VB. "Australia's favourite full strength beer, Victoria Bitter or VB as it's fondly known, has a tradition of rewarding hard work and hard play, dating back to the 1890s. Over the last 10 years, it's been a consistent winner in the esteemed Australian Liquor Industry Awards (ALIA), more recently picking up "Best Full Strength Beer" in 2001, "Tap Beer of the Year" in 2002, and "Best Full Strength Beer" again in 2003." I worked for an Australian owned company and heard much of the local lingo. arcerdude is quite correct. VB is an iconic Aussie beer. In fact, THE beer. No one here drinks Fosters you know, thats just for export. Or so I'm told, I'm not much of a beer drinker one way or the other. But I do love this ad for VB, a new take on the famous VB anthem. Don't go thinking this is a classy beverage though !